The Science of Interpreting the Bible. Welcome to my Biblical Hermeneutics Web Page! Many of the papers on this site are only available in Adobe Acrobat (PDF) format. If you don't have the Adobe Acrobat reader, you can download the latest version by clicking on the above icon. Andrew S. Kulikovsky B.App.Sc(Hons) M.A. "...devote yourself to the public reading of Scripture, to preaching and to teaching." The purpose of this page is to present a comprehensive and coherent methodology for Biblical interpretation. Many skeptics have complained that the Bible can't tell us anything of any real value because every person interprets it differently. While this is surely an overstatement - there is a great deal contained in the Bible that many Bible-believing Christians do in fact agree on - the reason why there are so many different interpretations is because interpreters don't follow any sensible or consistent method. This naturally leads to inaccurate, inconsistent, illogical and naive interpretations. With so many different interpretations available, how is anyone supposed to know which is the correct one? By examining the nature of the Bible, the events it records and how it was written, it is possible to come up with a method of interpretation that is sensible and understandable. The Bible is an historical book - it records people and events in history. Therefore, if we want to correctly interpret it we must understand its historical background and context. The Bible is also written in human language (Koine or Hellenistic Greek, Ancient Hebrew and Aramaic). Therefore, if we want to correctly interpret it we must understand the language (ie. word meanings and grammar) in which it is written. The sections below contains links to information that will help you study the Bible for yourself and articles which I (Andrew Kulikovsky) have written on various subjects. Any of my articles may be freely downloaded, printed, copied, quoted and distributed to whoever you like as long as they are not sold or changed without my permission and credit is given where credit is due. I hope you find the contents interesting and informative. If you have any comments or suggestions for this page then please let me know. Guide to Early Church Documents Extrabiblical documents (Pseudepigrapha), writings of early church fathers and early creeds and canons. Historical Social & Archaeological Information on the Ancient World Maps and Atlases of the ancient world. Details of Greek and Roman society, law, government and military tactics. Archaelogical information on important cities and sites in the ancient world. Much relevant Bible background material. Associates for Biblical Research An organisation dedicated to confirming the historical reliability of scripture through archaeology. Information on Jewish Texts Includes information on the Talmud, Mishnah and other commentaries on the Law. The Complete Works of Flavius Josephus Flavius Josephus was a Jewish Historian. 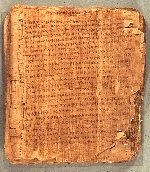 Apocrypha and Pseudepigrapha - Non-cononical texts so not inspired scripture, but provide useful background information. Christian Classics Ethereal Library A massive collection of classical Christian works including early church fathers, Naghammadi and Dead Sea Scrolls. Akkadian A comprehensive guide to the Akkadian language including discussions of history, geography, grammar, vocabulary, cuneiform writing system and texts. Ugaritic A basic introduction and course outline. Rough translation tool - Provides a rough translation between various modern languages. Note: The journals I have listed below are given because they represent (generally) good scholarship and most importantly because they are free! In other words, I do not necessarily agree with every article or every specific point in each article. Review of Mapping the Origins Debate by Gerald Rau - by Andrew Kulikovsky - As published in Journal of Creation 30/2 (2016) 26-29.
Review of How the West Won by Rodney Stark - by Andrew Kulikovsky - As published in Journal of Creation 29/1 (2015) 45-50.
Review of In the Beginning...We Misunderstood by Johnny V. Miller and John M. Soden - by Andrew Kulikovsky - As published in Journal of Creation 28/2 (2014) 45-50. 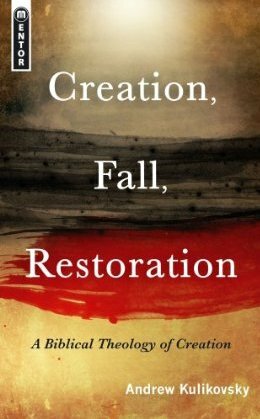 The Theological Corruption of the Evangelical Church - by Andrew Kulikovsky - As published in Journal of Creation 27/2 (2013) 120-127.
Review of Revisiting the Days of Genesis by B.C. Hodge - by Andrew Kulikovsky - As published in Journal of Creation 27/2 (2013) 23-28.
Review of An Appeal to Reason: A Cool Look at Global Warming by Nigel Lawson - by Andrew Kulikovsky - As published in Journal of Creation 26/3 (2012) 34-37. Human Dominion and Reproduction - by Andrew Kulikovsky - As published in Journal of Creation 26/1 (2012) 43-47. Common Errors Made by Deniers of a Young Earth - by Andrew Kulikovsky - As published in Creation 33/3 (2011) 41-43.
Review of Holman QuickSource Guide to Understanding Creation by Mark Whorton and Hill Roberts - by Andrew Kulikovsky - As published in Journal of Creation 25/3 (2011) 37-41.
Review of Beginnings: The Early Chapters of Genesis by Gregory Goswell - by Andrew Kulikovsky - As published in Journal of Creation 25/2 (2011) 58-60. Science and the Authority of Scripture - Part 2 - by Andrew Kulikovsky - As published in Evangelical Action (February/March 2011) 18-25. Science and the Authority of Scripture - Part 1 - by Andrew Kulikovsky - As published in Evangelical Action Annual (December 2010) 50-55.
Review of Coming to Grips with Genesis edited by Terry Mortenson and Thane Ury - by Andrew Kulikovsky - As published in Journal of Creation 24/2 (2010) 28-31.
Review of The Dance Between Science and Faith by Nick Hawkes - by Andrew Kulikovsky - As published in Journal of Creation 23/3 (2009) 44-48.
Review of Discovering God by Rodney Stark - by Andrew Kulikovsky - As published in Journal of Creation 23/3 (2009) 31-34. Can Recolonization Explain the Rock Record - with John Reed and Michael Oard - As published in Creation Research Society Quarterly 46 (2009) 27-39. Creation, Preservation and Dominion: Part 3 - A Christian Approach to Environmental Issues - by Andrew Kulikovsky - As published in Journal of Creation 23/2 (2009) 90-95. Creation, Preservation and Dominion: Part 2 - Christianity, Development and Environmentalism - by Andrew Kulikovsky - As published in Journal of Creation 23/2 (2009) 82-89. Creation, Preservation and Dominion: Part 1 - God, Humanity and the Created Order - by Andrew Kulikovsky - As published in Journal of Creation 23/1 (2009) 86-93.
Review of From Creation to New Creation - by Andrew Kulikovsky - As published in Journal of Creation 22/3 (2008) 32-34. Creationism, Science and Peer Review - by Andrew Kulikovsky - As published in Journal of Creation 22/1 (2008) 44-49.
Review of Philosophical Foundations for a Christian Worldview by J.P. Moreland and William Lane Craig - by Andrew Kulikovsky - As published in Journal of Creation 22/1 (2008) 23-27. A Biblical View of Economics and Industrial Relations - by Andrew Kulikovsky - Paper presented at Summit Australia Conference, Melbourne, January 2008.
Review of Science and Faith: Friend of Foes? by C. John Collins - by Andrew Kulikovsky - As published in Journal of Creation 21/3 (2007) 37-43. Creation and Genesis: An Historical Survey - by Andrew Kulikovsky - As published in Creation Research Society Quarterly 43/4 (March 2007) 14-20. Justice and the Bible - by Andrew Kulikovsky - Paper presented at Summit Australia Conference, Canberra, January 2007.
Review of Creation Out of Nothing by Paul Copan and William Lane Craig - by Andrew Kulikovsky - As published in Journal of Creation 21/1 (2007) 20-26.
Review of On the Reliability of the Old Testament by Ken Kitchen - by Andrew Kulikovsky - As published in Journal of Creation 20/2 (2006) 20-23. Hermeneutics and the Bible - by Andrew Kulikovsky - As published in Journal of Creation 19/3 (2005) 14-20. Scripture and General Revelation - by Andrew Kulikovsky - As published in Journal of Creation 19/2 (2005) 23-28. How could Adam Have Named All the Animals in A Single Day? - by Andrew Kulikovsky - As published in Creation 27/3 (2005) 27.
Review of Genesis: A Commentary by Bruce K. Waltke - By Andrew Kulikovsky - As published in Journal of Creation 16/2 (2002) 40-41.
Review of Reason, Science and Faith by Roger Forster and Paul Marston - by Andrew Kulikovsky - As published in Journal of Creation 16/2 (2002) 31-36. A Critique of the Literary Framework View of the Days of Creation - by Andrew Kulikovsky - As published in Creation Research Society Quarterly 37/4 (March 2001) 237-244.
Review of Science and Christianity ed by R. Carlson - by Andrew Kulikovsky - As published in Journal of Creation 15/1 (2001) 39-43.
Review of Genesis Unbound by John Sailhamer- by Andrew Kulikovsky - As published in Journal of Creation 14/3 (2000) 35-38.
Review of Three Views on Creation and Evolution ed by J. P. Moreland and J. M. Reynolds - by Andrew Kulikovsky - As published in Journal of Creation 14/1 (2000) 23-27. God's Rest in Hebrews 4:1-11 - by Andrew Kulikovsky - As published in Journal of Creation 13/2 (1999) 61-62. If you have any comments or suggestions please let me know.